SAP Course Details: Many people are searching for the S.A.P Course details and it is one of the most popular and useful certification to boost the career. This article may help to find the answer for questions like “what is sap course, what is sap software” etc. SAP full form is “Systems, applications & products in Data Processing”. SAP definition is for the ERP software and same name for the company also. 3 What is SAP Certification? SAP means a German multinational software company. It makes the enterprise software to manage business operations. These enterprise software’s are also known as ERP’s. Now you may got a doubt “What is ERP ?”. ERP is software used in the businesses to automate many tasks. ERP’s are the set of important tools which are used to handle the business processes like inventory management, human resources management, Sale management, Customer relationship management etc. There are so many ERP software’s for different tasks ex. Microsoft Dynamics is an important alternative for S.A.P. There are many online and cloud based ERP’s available in the market. S.A.P is a largest company and its products are used by a wide range of businesses around the world. SAP course completed candidates can improve their chances in the job market. They are experienced in the designing input screens, creating ware houses of information, essential programming skills etc. to perform many tasks in the business. SAP Certification is an exam conducted by SAP AG, it is increasingly becoming important for the career of employees. Not just regional job prospects, but SAP entertains hiring across the world. SAP is a globally recognized business platform in various functional fields including Financial Accounting and Controlling (FICO), Production Planning (PP) and Materials Management (MM). The SAP Certification is most demand in both production facilities are managerial workplaces, with companies coming up with a wide spectrum of SAP facilitated modules. In fact, training is available in Institutes held over SAP Courses in India, SAP Course in Pune, SAP Courses in Mumbai, SAP Course in Delhi, SAP Course in Hyderabad, SAP Course in Chennai, SAP Course in Kolkata. SAP training can take many forms and among the various modules offered on SAP. Hi students!! Welcome to sap online training we are providing the SAP modules, courses, and best sap online training institute services, professional SAP Experts, SAP Tutorials. Candidate need to be a graduate in Engineering, B.com, B.Sc, MCA or completed Master’s degree. If the candidate has any experience in the relevant fields like production, purchase or other it will be an added advantage to grab the related SAP Module. Course is very expensive but it’s a very valuable course to boost your career. There are so many modules and S.A.P course fees for each module are different. SAP course fees may vary between 30,000 to 2lakhs and also depends on the institution also. 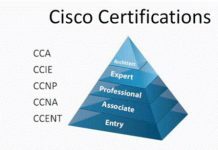 Additional cost for certification. If coaching is taken from the Authorized institution then the cost will be high when compared to normal institutions. There is no specific time duration for this course. However the time duration may last for 8 to 12 weeks if you go for full time course. you can find some information in the following link. is it possible for Diploma student to join S.A.P course? is it possible for +2 commerce completed student? I am a b.tech EEE student What is the use of S.A.P TASK for EEE department? i have completed my bachelors in architecture..can i do a SAP course now?? i am a B.E cse student. what is the use SAP course for me…..
What is duration of SAP course?? 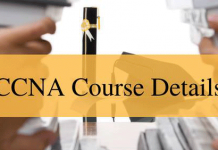 Is it possible for BCA student join sap course. it is possible for bms or management student to join sap ccourse. Mukesh. Is it possible for BA students. ..? I completed my BCA. what is the of S.A.P task for me? And also in crm operations. Pls. Suggest me. Which sap module I need to learn to get best opportunity. Try for SAP SCM SD. As your experience suggest, this domain of SAP gives you the opportunity to better the sales and working of any organisation and you also get to interact with clients. This domain doesn’t need any kind of prior coding knowledge, so you will be good to go. I am pursuing MBA 2year and I am interested in Sap faco .please give me any suggestion for any relevant or different modules other than faco. is it possible for b.a, m.b.a students? m ECE engg. what is the beat suitable curse mudule for me? I pass out 12th this year… Can i do this diplopa? It possible for +2 commerce completed students ? after gradation of bms, is it possible? Sir. I would like to ask you that I learn this certificate course by book and work in the company. Actually, I have completed my graduation in arts subject. I am doing 2nd year in b.tech can I do it?? SAP is an ERP,.SAP founded in 1972 in Germany, All graduates or BE or MBA CA can learn this, As we talk about the department, SAP say same thing as a Module, Example- I am working in FICO module, I will say I am working in Finance & controlling department. SAP demand supply gap is to high so learn it & make your future. I am studying in bsc 3rd year,can I join sap! I have 8 year experience of store keeping in various automobile sector…. I am pursuing MCA but I am week in coding which of the SAP MODULE will be better for me can any one suggest? is it possible for BCA student to join S.A.P ???? Hi, My name is Nayeem. I’ve done with my graduation in B.A (Economics) and now I am pursuing M.B.A in Finance, so my query is, can I join S.A.P course? i pass Bsc(geography) in 2012 i want to learn sap.,can I elgible to do sap cource.Which moudule is Best for Me.My Interest In Supply Chain Management.and which institude is the best For me in kolkata. i have been in PSU bank as branch in charge . Whether SAP can give a boost to my career , If yes then which module will be more suitable . Apart from banking sector which other sector I can have an opportunity if I do certain module of SAP . Kindly suggest . Hello sir. I have been working as a Document Specialist at Williams lea. where I was working at Ms excel, Powerpoint, Word. So now my question is there any courses related to my department. if it is. Please suggest me which course suitable for me. I have done my graduation and I am having an expirence in marketing of home loan and some experience in real estate organisation. Can I do my further career through SAP. BPO ,there is suitable for me? I have done my B.A. only and i have total 10 year experience. 1.now i m Networking Drive test engineer at Reliance Jio. Plz give me right seguation what I do now to improve myself. I have pursuing M.B.A in Major-HR,Minor-Marketing can i Eligible for sap…. I completed mtech in micro and nano electronics pls suggest me which course is best..
Sir…i become completed BCA all 3 year with good score….then can i eligible for the SAP course or not? I am MCA Graduate,with 3+ experience in marketing.So how can SAP is course upgrade my job.What is the scope for future. i am a bba graduate, i would like to learn sap fi-co and sap hr. i am eligible to do these modules or nor…? if i am eligible, after completing course how can i get get certificate. Im a Bca (Bachular of computer application) student. Can i join SAP ABAP. ? … Im from mumbai… And i hav good knowledge about programmong. I need to Know the training institution of SAP Nearest bangalore will u help me in this. 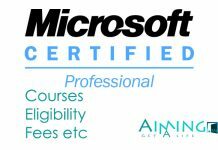 i have completed my M.com in 2015, am i eligible for SAP training. I have done BBA hons… Can i do SAP? Currently I am unemployed and have an year gap of 3 years. I completed my BTECH in MECHANICAL Engineering. Will SAP course benefit me any way? Currently I am unemployed and have an year gap of 3 years. I completed my BTECH in MECHANICAL Engineering. Will SAP course benefit me any way? Can i get placed? Sir/Madam I completed my B. Tech(electronics and instrumentation engineering ) 2014.can I do for sap. Sir plzz which course is suitable for me. And course fees also sir plzz zzz.. In hyderabad location which is best institute for sap training..
I’m a degree b.com discontinued student i interested to learn sap course can I learn or can’t …. I like to learn SAP SCM390, please provide the contact details to keep in tough. I have completed B. E. in CSE in 2011. I have teaching experience of 3 years in engineering college. But no experience in IT companies. But now I want to do job in IT sector so SAP course is beneficial for me take entry in IT companies after a 7 years gap? Can u suggest me how to start my career? I AM WORKING IN ICICI BANK FROMLAST 3 YEARS. PLEASE GUIDE ME FOR SAP OR ANY OTHER COURSE.